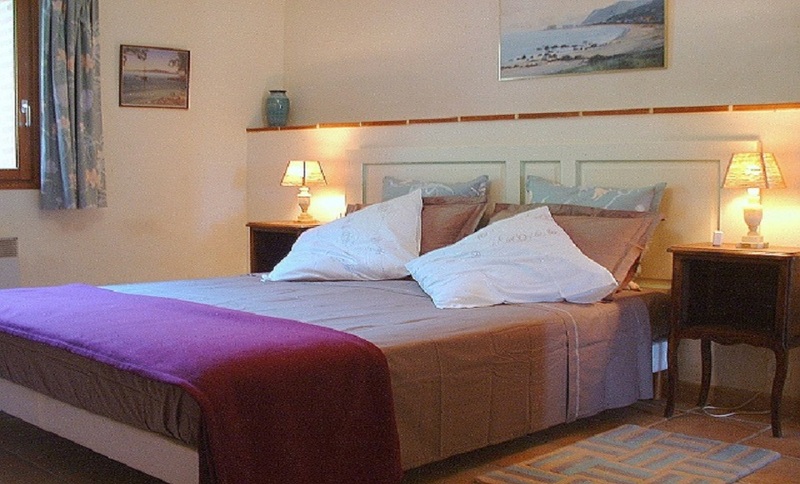 This 1 bedroom gite is the only gite on the property and offers spacious self-catering accommodation in a child-free environment. 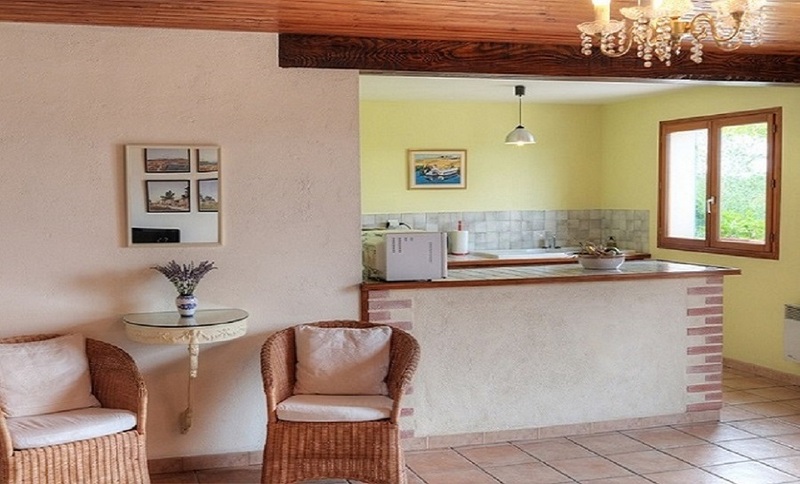 Set high above a wide valley in rolling countryside the gite has panoramic views over an idyllic French pastoral landscape of farms, vineyards and villages - a wonderful location from which to enjoy the best that South West France has to offer. For a cycling holiday the surrounding area offers cyclists routes that meander up and down through some of the most delightful countryside to be found anywhere in France - no wonder the Tour de France visits the Tarn so frequently. The beautiful city of Albi - a UNESCO World Heritage site - is just 10 minutes from the gite by car, while local shops and restaurants can be found within a 5 minute drive. Toulouse is easily accessible by motorway or train. Forming part of what used to be a farm, the gite has its own private entrance from the road, parking area, and fenced garden with sweeping views to the South and West across the valley. Double doors from the garden open to the large living room with dining area, and a convivial 'American' style open plan kitchen. There is free Wi-Fi, satellite tv (BBC, Sky News, CNN etc), a grand selection of books, various board and card games, plus masses of up to date local and regional information to help you decide which places you might want to visit. Outside there is a barbecue, dining table, sunloungers, recliner chairs plus a lockable storage shed for bicycles. We are always pleased to share produce from our garden with our guests. Tomatoes, potatoes, courgettes, squashes, aubergines, chillies, grapes, melons and figs - according to the season. You will also find the kitchen basics such as salt, pepper, oil, vinegar, sugar, tea and coffee have been provided, plus fresh herbs that you can pick from your own herb garden !